How often do you travel by plane? How much electricity do you use? These days everyone is worried about the size of their carbon footprint. 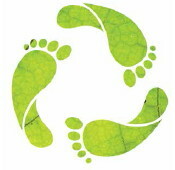 In order to reduce global warming we need to make our carbon footprints smaller. But how much CO2 are we responsible for? A new book by Mike Berners-Lee (a leading expert in carbon footprinting) might be able to help. 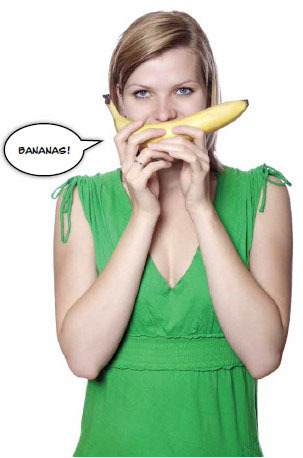 How Bad Are Bananas? The Carbon Footprint of Everything looks at the different things we do and buy, and calculates the amount of CO2 they produce. For example, to calculate the footprint of a pint of beer, he investigated how much CO2 all of the following created: the ingredients, the electricity used in the brewery, the equipment, the travel and commuting of the workers, the transport, the fermentation of the beer, and the packaging. It’s amazing how many different things need to be included in each calculation. And it’s frightening how much carbon dioxide everything produces.